Nokia's rumoured RT tablet is picking up some serious momentum as of late, with the slate now popping up in a leaked benchmark test. The tablet has apparently been Bluetooth certified with the model number RM-114. The benchmark results, unearthed by an anonymous tipster to phonearena, also reiterate that "Sirius" name we've been hearing a lot of, listing the device as "Jinsh Sirius". 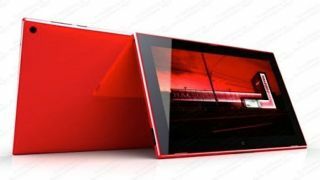 According to the specs, Nokia's first full tablet will also come with a quad-core Qualcomm Snapdragon 800 processor CPU with Adreno 330 GPU. We recently saw a leaked render of the tablet shows itself on the web, with details claiming the tablet will boast a 10.1-inch 1920 x 1080 Full HD IPS display, 2GB of RAM, up to 10 hours of battery life, and will come with 32GB of native storage expandable via microSD. A 6-megapixel rear camera is also expected along with a 2-megapixel front-facer. However the same earlier leak outed the tablet at a price of $499 (about £315, AU$538), which seems like a big ask for an RT tablet. Of course, don't start throwing things just yet though - it could be a lot of old rubbish. But with Microsoft now in control of Nokia's device and services division, a Nokia-built RT tablet makes more sense than ever.